The rooms and studios are located around an inner courtyard. 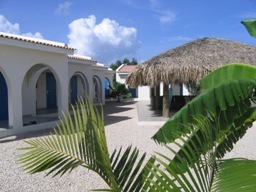 The inner courtyard has a terrace that is covered with palm leaves, called a gazebo, which gives a tropical atmosphere. It is also wonderful to come and lie in the hammock or to relax in one of the luxurious lounge areas. 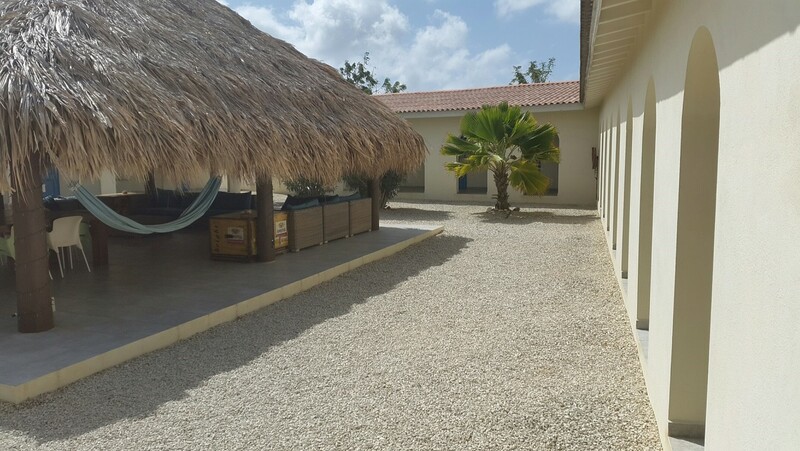 You can take a momentï¿½s rest, read a good book, have a cool drink and use wireless internet.